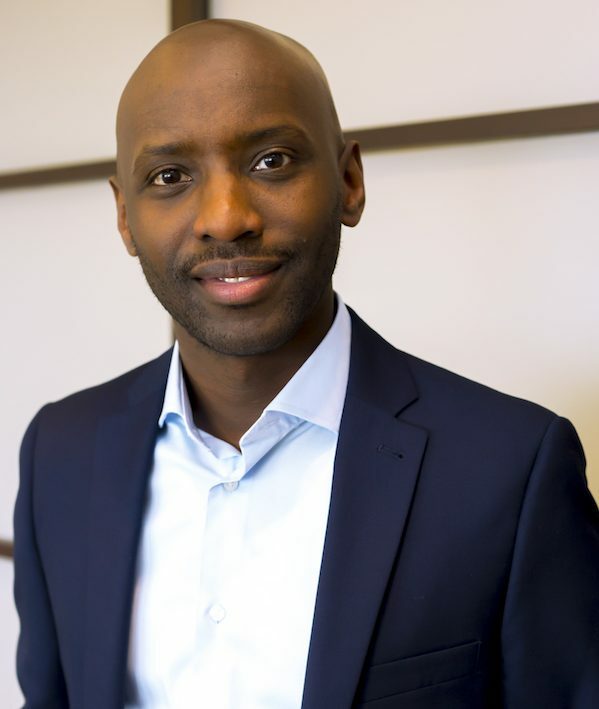 Dr. James Luta is the Managing Partner of James, Associates & Partners and its affiliated Migrate to Canada Group. He is a renowned minority rights activist with a Doctorate in human and group rights. 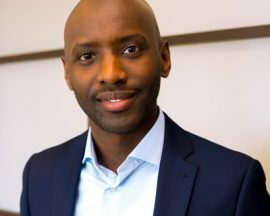 He is currently the national Chairperson of the Canadian Bar International Students’ Association, Vice president of the Canadian Association of Black Lawyers (BC Chapter) and Chief Legal Officer of the Canadian Assisted Travel Society. James also volunteers as an Adjudicator with the Refugee Hearing Program. As per Canada’s Multiyear Immigration Plan (2018-2020), it will invite 1 million immigrants. Out of this total number 310,000 immigrants were to be invited in 2018, this year and next; the annual immigration number will increase every year to 340,000 by 2020. This is in contrast to most advanced nations trying to control the number of immigrants in their respective countries. Canada has over 60 Immigration options deriving from 6 main categories; Federal Skilled Worker, Quebec Skilled Worker, Provincial Nominee Program, Family Sponsorship, Business Immigrant and Canadian Experience Class. There is also the refugee and temporary visa categories. The permanent residence category on landing is a very popular category for youthful, advance educated, skilled employed and English and / or French speakers. Australia has a similar program but the Canadian program is more popular. Canada has been accepting about quarter of a million new Permanent Residents each year. There is unlimited opportunity and potential to be found in Canada’s fast growing and industrialized economy. As one of the richest countries, Canada also offers a high standard of living while decreasing taxes and strengthening their economy with a 2.3% inflation rate. Canadians also get to keep an increasing amount of their income each year, with the average annual income being around $40,000. The economy continues to improve with the lowest unemployment rate since 1976 (6.8%) and hundreds of thousands of new jobs created annually. Canadians consider health care to be a fundamental right. This is why free healthcare is such an integral part of Canadian life. The quality of health care is among the highest in the world, and access to medical treatment is guaranteed. The access to social assistance programs and affordable housing also contribute to the overall wellbeing and health of the nation that takes care of its people. Canada is a truly multicultural country with multiculturalism adopted as a national policy. Canada is a leader in cultural diversity, tolerance, peaceful society and safety. They allow varying cultural systems to co-exist and keep their residents safer with the lowest crime rates that continue to decline thanks to a fair justice system, strict gun control laws, and community policing. Canada is the second largest country in the world (around 41.5 times bigger than Uganda but with a smaller population compared to Uganda!). They also have a below 1% population growth despite their thriving economy. This necessitates and justifies a robust migration policy and Canada is opening its doors to immigrants that add value to its progress and those that need protection. As such there is vast land across the mountains and prairies and between British Columbia and the Maritimes with numerous roads, mixed ethnicity neighborhoods, unique language quirks, and intriguing cultural diversity. Canada is famous for the picturesque scenery and uninhabited land. The views of the untouched and natural environment are breathtaking and composed of beautiful lakes and rivers. It benefits from three oceans, several mountains, plains, and some of the most attractive cities in the world, like Toronto, Quebec and Vancouver. The Aurora Borealis (Northern Lights) from sites like Yellowknife where the nights are clear, the landscape is flat, and the Northern Lights are perfectly visible are a constant source of tourism. Iceberg Alley is a famous location where ice bergs from western Greenland glaciers float down an amazing path. Canada also has the most dynamic bays in Fundy Bay where people can walk or paddle through an area where more than 100 billion tons of water flows in and out each day. It stretches from Nova Scotia to New Brunswick and the powerful tides expose fossils and sometimes rise over 50 feet. With 8.92% of Canada attributed to water and large chunks of it, mountains, forests and nature, there is a wealth of outdoor activities and captivating scenery. Attractions like the Thousand Islands and Niagara Falls among several others ensure that visiting or staying in Canada is always ‘a sight for sore eyes’. Wildlife is a major part of the identity of Canada with polar bears, moose, whales, 462 species of birds, and much more to choose from. It has several zoos across the country for animals lovers and a lot of wild life in the un inhabited lands. Canada today it is one of the most tolerant places on earth and has turned around it historic imperfect record of race and religious discrimination; most notably their treatment of aboriginal people). Canadian residents now have a “live and let live” attitude. People come from all over the world and both maintain their own cultural traditions and adopt some local ones. Considering that about 4.3% of the citizens of Canada were the ‘inhabitants of the land’ before European occupation, most people consider themselves immigrants and racism or intolerance to immigration is minimized. Canada has big political battles like every other country, but there are very few social issues in play. Public health care is the major political agenda and all parties ensure that it is a human right that is very important to protect. Canadian residents acknowledge a responsibility to take care of the less fortunate among them. They pay high taxes to support this ideology (top rate in Ontario: 53%) but it’s largely considered to be the price one pays for social consensus. According to statista, Crime in general has declined in Canada since 2000 with the 2017 crime rate around 30 percent lower than peak levels in 2003. Property crime and violent crime have followed this general trend with rates dropping 39 percent and 23 percent respectively during the same time period. The severity of crimes committed has also been on the decline, according to the Crime Severity Index (CSI) which tracks crimes committed weighted by their seriousness. The rate of drug-related crime increased slightly over this period but began steadily dropping since 2011. The recent legalization of recreational marijuana in Canada is predicted to further decrease such offenses. The continuing decline of crime rate is continuing year on. To know more about the Canadian Immigration Categories that make Canada the migrant’s choice, attend the Ugandan Canadian Diaspora Business Expo and Convention in Toronto between June 28, 2019-July 01, 2019 or tune in on line or via other media outlets. Telephone/WhatsApp: +256 772 646 849 (UG) OR +1 778 862 1284 (Int).